David Gan completed an Associate Diploma in Clinical Laboratory Techniques at The Queensland University of Technology in 1990. He started work in the Anatomical Pathology Department of the Mater Hospital, Brisbane QLD in 1991. In 2001 he moved to QML Pathology as the supervisor of the Special Stains area in Anatomical Pathology. In February this year David moved to Pathology Queensland based at the Princess Alexandra Hospital as a supervisor in the IHC area. 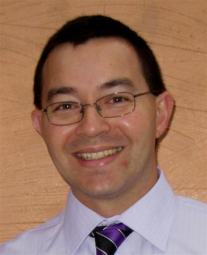 He is an assessor for the RCPAQAP Immunohistochemistry and Technical Modules. Last update on: 2018/04/11 22:34:22 UTC/GMT time.